A perk of working inside Chelsea Market for the next few months? 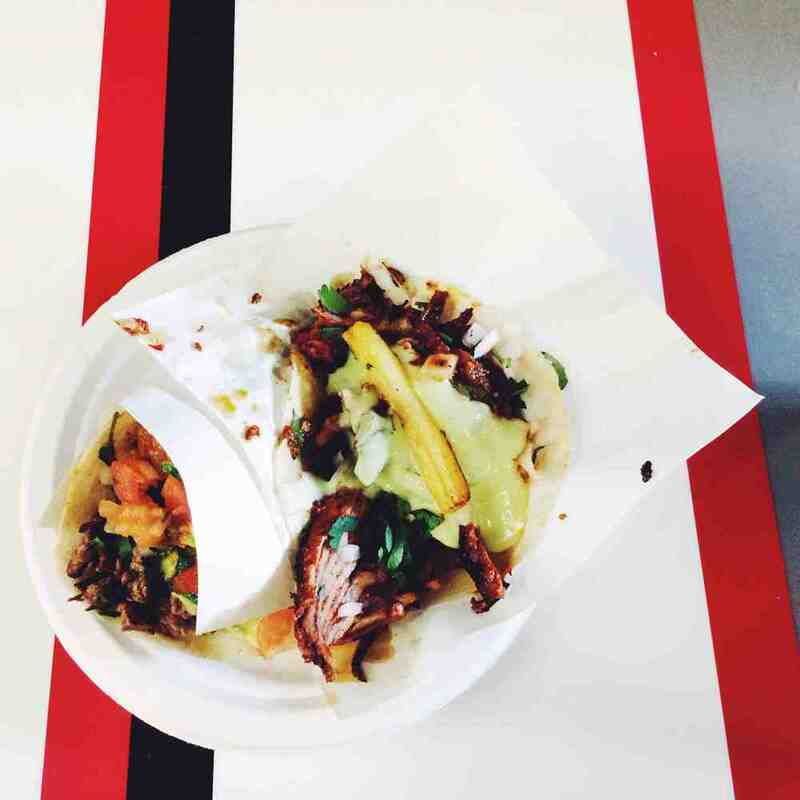 Plenty of lunch breaks at this Cali-inspired taco stand. The handmade tortillas—slapped on the grill right after you order—are small, but heavily packed. My go-to fillings are the carne asada and spicy adobada, a version of al pastor made with nuggets of spit-fired pork and sweet pineapple batons. Lately, I've also been drawn to the milky horchata, which has a light rice flavor and strong cinnamon notes. Posted in new york city and tagged with tacos. January 8, 2014 by Patty Lee.